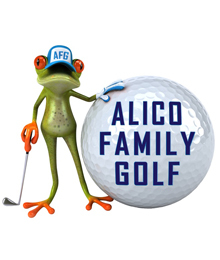 balls and mini golf and $30 for unlimited balls, mini golf and 9 hole short course. Beer specials of $10 for 5 cans of beer. for the entire school year on our range and short course. facilitated at AFG for all wounded veterans in the South Florida area. We are currently on our 3rd program. the programing of core values and life enhancing skills that the first tee offers. South Fort Myers to host weekly meetings at AFG and partake in fundraising efforts. America by hosting their weekly meetings at AFG. practice facility for the university golf teams.